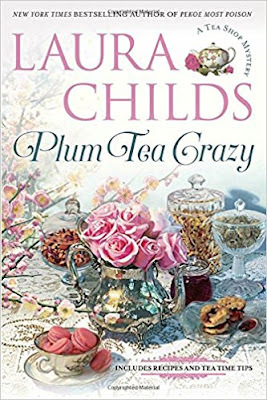 I was delighted to be selected to read Laura Childs new cozy, Plum Tea Crazy. This is the newest book in the series and is book #19. This one comes out on March 6th. I love the idea of this series, the cover and Drayton. The dog Earl Grey is also a particular favorite. In this mystery like so many in this series there is a lot going on, so much so that it is easy to miss motives and reasoning. 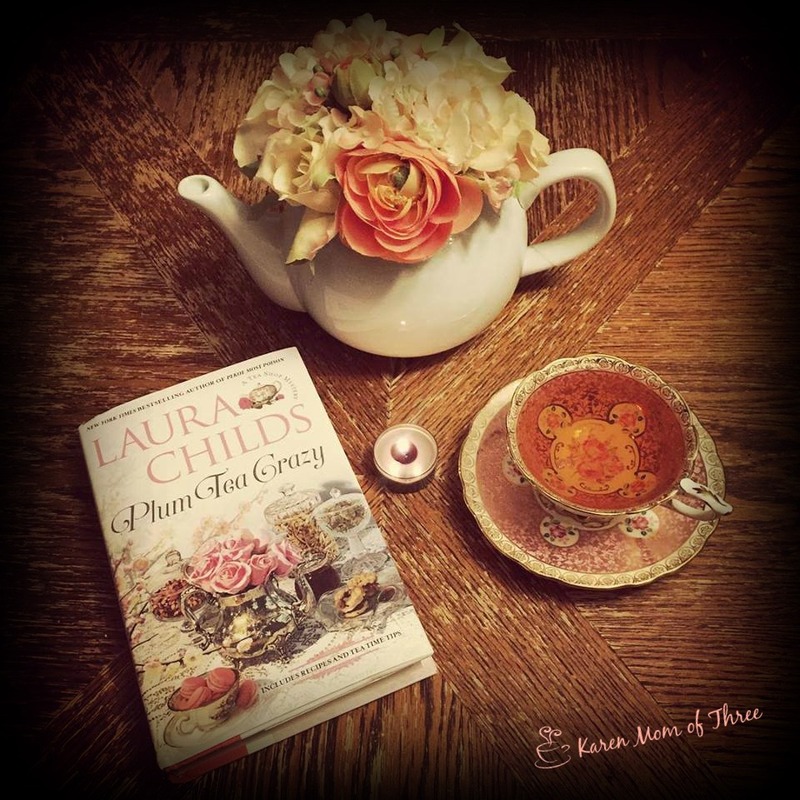 This book is a heavily layered who-dun-it with a wonderful tea menu and recipes as well. Theodosia Browning investigates a Charleston steeped in tradition and treachery in the latest Tea Shop Mystery from New York Times bestselling author Laura Childs.While viewing the harbor's Gaslights and Galleons Parade from the widow's walk of Timothy Neville's Charleston mansion, local banker Carson Lanier seemingly tumbles over a narrow railing, then plunges three stories to his death. But a tragic accident becomes something much more sinister when it's discovered that the victim was first shot with a bolt from a crossbow. At the request of the mansion owner, Theodosia investigates the tragedy and is soon neck deep in suspects. An almost ex-wife, a coworker, a real estate partner--all had motives for killing the luckless banker, but one resorted to murder to settle accounts. You can find Plum Tea Crazy on Amazon by clicking here.